Be the first to share your favorite memory, photo or story of Sharon Mildred. This memorial page is dedicated for family, friends and future generations to celebrate the life of their loved one. Sharon Mildred Johnson Linn Earhart, age 78, of East Highway 60, Salt Lick, passed away Friday, November 23, 2018, at the Life Care Center in Morehead. Born September 6, 1940, in Mishawaka, Indiana, she was the daughter of the late David and Maris Fisher Johnson. Besides her parents, she was preceded in death by her first husband, Lloyd M. Linn on November 3, 1996, and her second husband, Richard Earhart on April 1, 2018. She was also preceded in death by three children, Rebecca Sue Davis, David Ernest Linn, and Robert Charles Linn, and three brothers, Bill, James, and Calvin Johnson. 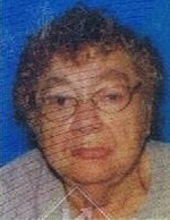 She is survived by three children, Susan K. Wroblewski of Niles, Michigan, Deborah A. Gower of Morehead, Kentucky, Randy L. Linn of Mill Creek, Indiana, and Michael C. Linn of South Bend, Indiana; two brothers, Ronald Johnson of Papaw, Michigan, and Thomas Johnson of Elkhart, Indiana; one sister, Norma Deemer of Traverse City, Michigan; grandchildren and great grandchildren; nieces and nephews; other relatives; and friends. She was a homemaker who enjoyed family and friends and working puzzles. Northcutt & Son Home for Funerals, 400 Fraley Drive, Morehead, KY 40351 is caring for arrangements. To send flowers or a remembrance gift to the family of Sharon Mildred Johnson Linn Earhart, please visit our Tribute Store. "Email Address" would like to share the life celebration of Sharon Mildred Johnson Linn Earhart. Click on the "link" to go to share a favorite memory or leave a condolence message for the family.